Yes I only did four manicures this week but they are pure amazingness so that should make up for them. These really have been the most popular manicures according to my stats, which is great as i've loved doing them! Maybe this means you will get more cute nail art on a regular basis. The Flamingo has to be the best nail art I have ever done. I loved him so much. 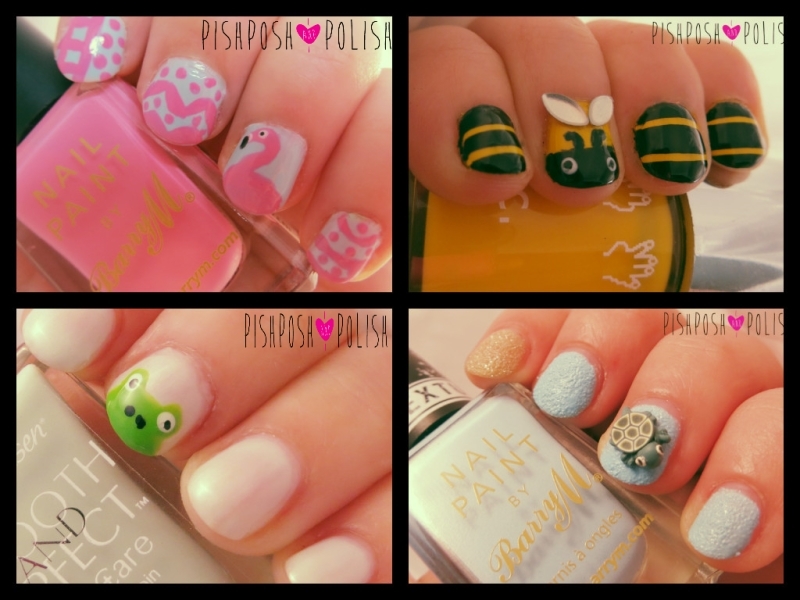 But it seems the peoples choice was the turtle 3D nail art I posted last night. Simple but so damn cute! I was really pleased with the Bee art as I did that on my right hand so I had to use my non-dominate hand to paint with! And lets not forget that cute frog, he is simple and maybe a little unloved compared to the others but I really liked him! The other ladies in the Digit-al Dozen are all pure talent. They produced some outstanding manicures. You can check out all the links below to their manicures by going to my previous blog posts! The turtle one is my fave, so cute!